We had a fantastic week at the Natural History Museum as part of Universities Week. Many of our visitors were shocked to learn how many people didn't have access to a toilet and were pleased we were doing something about it. Visitors included school groups, international tourists and Londoners on a day out, especially the latter on the late night opening on Wednesday when we talked non-stop. One of the school boys said "that's the coolest toilet I've ever seen!" 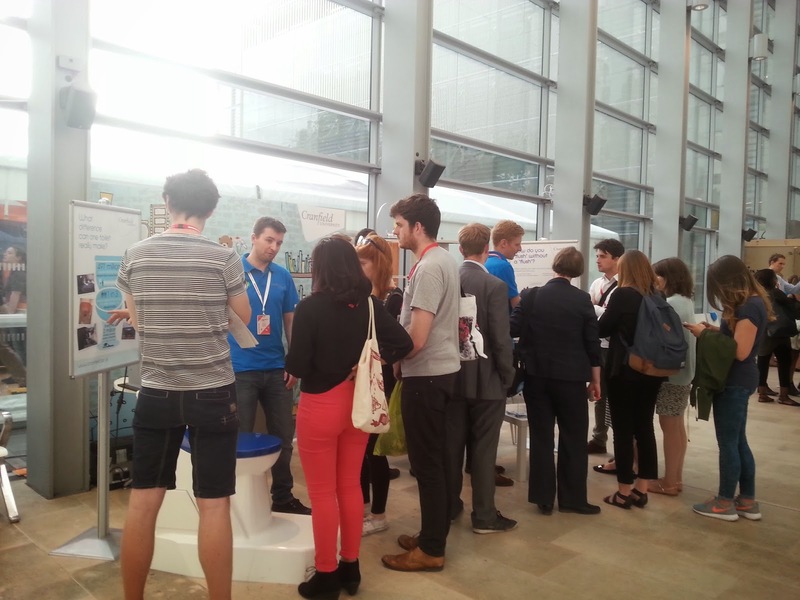 And was very popular - everyone had heard about "the toilet" and wanted to see what the fuss was about. 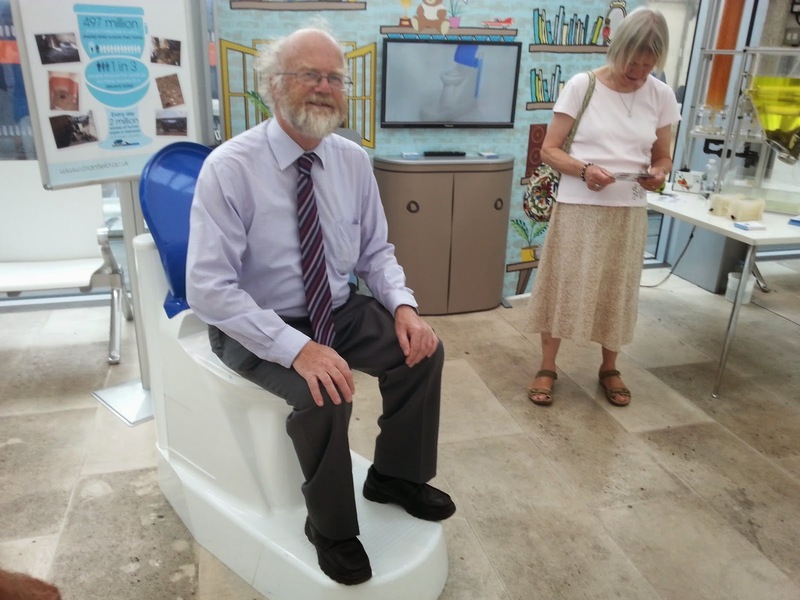 Visitors even tested the prototype for comfort. Five of the stands at the Natural History Museum were singled out in a feature in the Guardian and we were delighted that an interview with our designer, Ross Tierney, was included. 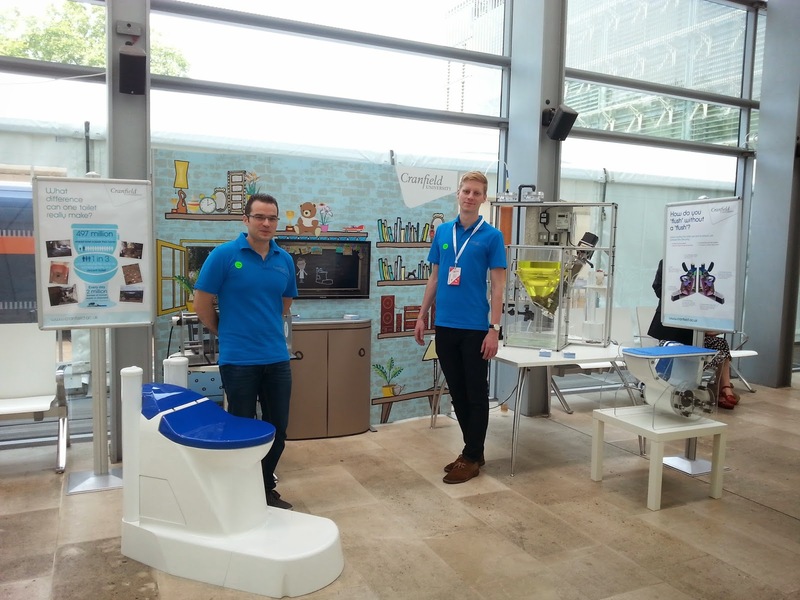 The only downside was we would have liked an opportunity to meet with David Willetts, Minister of State for Universities and Science, who visited some of the other stands, but didn't want to be seen with a toilet!